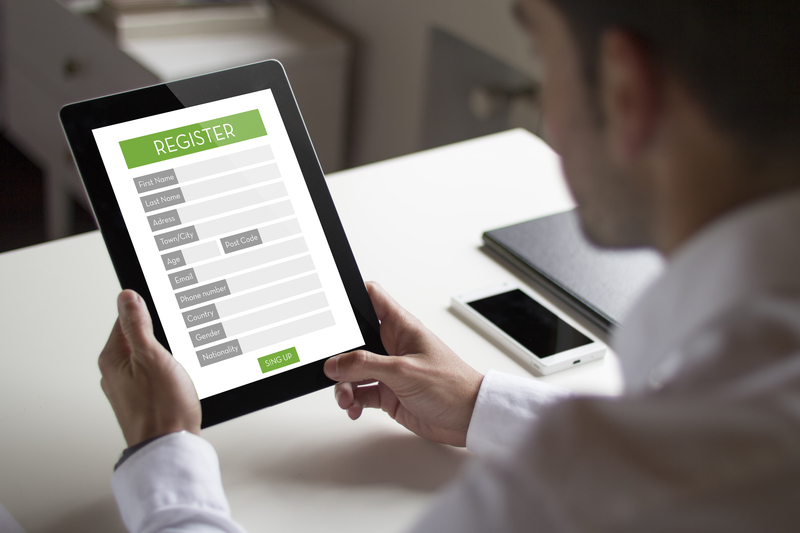 Simply designed online forms is a key element in gaining form conversions from your website. It encourages your prospects to engage with your business to actually fill out and submit your form in the first place. To put it simply, the easier it is to fill out a web form (whether it’s a contact form, request a quote, customer service etc.) the more likely your website visitors will be to do so. Simple forms get more conversions. 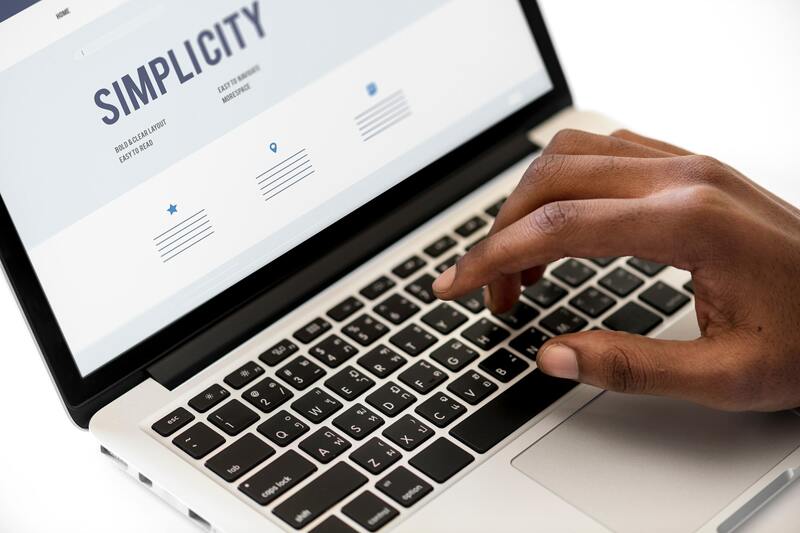 But, even though you want your online forms to be simple, they can’t be too simple. Afterall, you do need some important information and your online forms do need to be visually appealing as well. So if you’re sitting there scratching your head, you’re not alone. It’s a delicate (and confusing) balance to be sure, but it’s essential that you understand it. 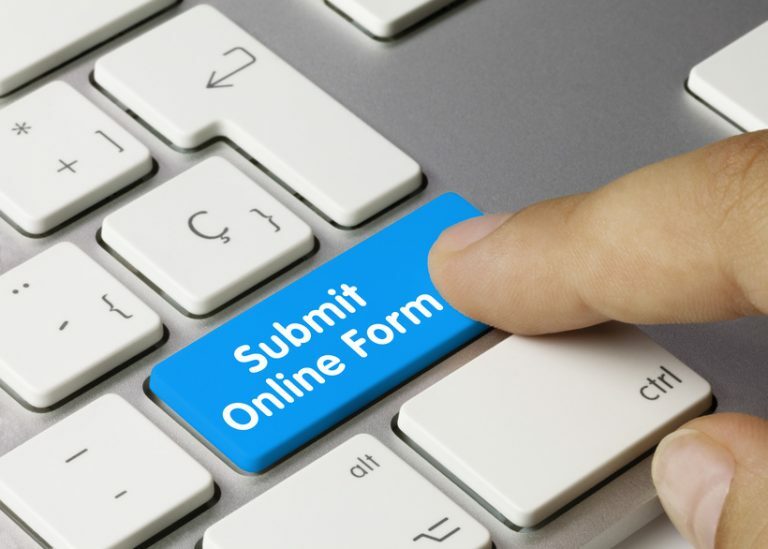 Keep reading to learn some online form design best practices and tips, so you can create more effective online forms for your small business website! In the early days of website development, it was all about grabbing your visitor’s attention with bright colors, moving images, autoplaying video clips, and so on. That’s not the case anymore. Modern website design is now centered on simplicity and minimalism. This means your online web forms need to follow this same pattern too. And this is actually a good change! Why? You don’t have to waste your time creating in-depth forms to place on your website that no one is filling out and submitting. Those long, detailed forms you originally created are probably driving more potential customers away than you’re earning. The modern online customer doesn’t want to share their personal information with you right off the bat, and they’re busy! They don’t want to take the time and think about how to respond to your questions either. Modern user experience preferences demand that online website forms are efficient, fast, and as noninvasive as possible. First off, design matters! The more visually appealing and interactive your online forms are, the more likely your web visitors will be to fill them out. Unless you have a background in graphic design, you may want to use a form design platforms to help you out. Alright, let’s dive a little deeper in what minimal web design looks like for online forms. Most importantly, keep the web page itself as simple as the form. You want your visitors to be drawn to your online form, not anything else that’s happening on the page. And once they click on the CTA button that takes then to the form page, that form should be all they see. You don’t need a fancy background with fancy graphics. They’re already interested in your form, now you need to encourage them to complete it. Pro Tip: Make sure to include ample white space (or open space) on your form and use a font that’s easily legible. Stay away from script or cursive fonts! Remember, you want your forms to be short and to the point, clean text fonts convey that idea. When you’re designing the look of your form, don’t forget to prioritize the CTA for web visitors to open and later submit the completed form as well. There have been several studies showing that words like “Click Here” or “Submit” just aren’t gaining traction with web audiences anymore, in fact it may be driving them away! Your CTA buttons need to stand out to attract your website visitor’s attention, while at the same time creating a sense of interest or curiosity. Now, I get it. Sometimes you will need to create online forms that will require your website visitors to enter more information or spend some more time within the form itself. But, not all your online website forms need to be this way. For example, if you create an email newsletter sign up form on your website, all the information you really need is that person’s first name and email address. Maybe you could ask them to select or list some topic areas they’d be interested in receiving information on so you can personalize your emails, but that’s really all you need to get started. Don’t ask them for their phone number, you don’t need to know how they heard about you, and you don’t really even need to know their last name. All that information you can ask for or receive later down the road once you develop a better relationship with that new prospect. You need to earn what you ask for. Don’t ask for too much too soon. You first need to prove that you are a reliable, worthy small business your website visitor can trust. Once you establish that initial bond, then you can start asking your prospects to trust you more by requesting more information. So what qualifies as essential information for your online forms? Usually, it’s a common and modern practice to request the prospect’s name, email address, and the message (if applicable to that specific form). It’s that simple. Most online web visitors are willing to provide that basic level information because it’s not too personal and it won’t take long to fill out. Additionally, make sure you’re forthcoming with your small business information on your website. This will not only make it easier for your prospects to connect with you, but it portrays you small business as open and trust-worthy as well. Having some simple contact information on the page like your NAP (Name, Address, Phone number) and a Google map widget is a good place to start. But, you should also provide links to your social media pages, post any certifications or accreditations you’ve earned, links to media publications where you’ve been featured, and so on. As a business, you’re showing good faith by giving them your information and background in hopes that they will return the favor later on. Apart from their actual format, another best practice of online form design is to make them mobile friendly. According to Statista.com, 61% of all Google search traffic was conducted on mobile devices by the end of 2018! I think we can all agree that mobile search is making a statement in a big way. More and more searchers are using their mobile devices to search the web and browse websites. Small businesses need to be ready and meet the demands of the modern-day searcher by making their online forms mobile friendly. Web searchers will easily get frustrated with your site and pogo-stick off your page if they find your site isn’t mobile friendly. You can’t afford to miss out on that traffic and possible conversions! If a required field of your online form hasn’t been completed, make sure you provide an error message so your web visitors can see what they missed. Smartphone screen aren’t that big, and it can be easy to miss an information fields. I can’t tell you how many times I’ve done this personally and I always appreciate those sites that make it easy to find what I overlooked. On the other hand, there are sites out there with online forms that don’t provide error messages. This can be extremely problematic. If a web visitor tries to submit your form, but it won’t go through and they don’t know why, they’ll just leave your site. Design and optimize your online forms with user experience in mind! If someone is trying to fill out one of your forms on a mobile device, they’re most likely on the go. Time is everything when it comes to mobile optimizing the online forms on your small business website. Your web visitors will appreciate any sort of automated action you can provide that will save them time from typing out a response. For example, if your a retailer and you have a returning customer coming to your site, you could auto-populate the previous credit card information they used. You can also create drop down menus with options your visitors can choose from, instead of making them type their response. Subtle online form design changes like these will save your visitor time and make your form completion process simple, thereby gaining you more form conversions. Continuing on the theme of speed and efficiency, it’s a good idea to let your visitor know how long your form will take to complete and where they are in that process. Because of the size of a mobile device screen, you may not be able to fit your whole form on one page. In this case, it’s a good idea to provide a progress bar so your visitor can see how many steps there are and how quickly they can fill them out. If your form seems to long, and you don’t include a progress bar to motivate your visitors to keep going, they’ll most likely click away. The last online form design best practice tip I have for you use a single column layout style for your information fields. As we’ve talked about above, mobile screens are small, so using a simple, online form design is essential if you want people to complete and submit them. Single column information fields will make your information easy to read and understand, and will allow your visitors to complete your form more quickly as well. Don’t try to fit everything on one page. Make sure to include white space and well sized text, don’t sacrifice that for space’s sake. Mobile online search is on the rise and you need to optimize not only your web forms, but your whole website as well. The popularity of mobile search for it’s convenience and speed is growing, so even if your target audience isn’t using mobile yet, there’s a good chance they soon will. Your old website forms aren’t cutting it anymore. They’re out of date, too long, and are probably driving your prospects away! Take a look at our online form design best practices above to familiarize yourself with modern, online form expectations so you can start getting the form conversions you want. In today's digital age, sometimes it hard to know where to begin when searching digital solutions such as websites and marketing. Cazbah set themselves apart in some key factors. Taking the time, after a very difficult with a different company we had very specific goals. We shared these goals with our final three candidates. Chaz was the only one that took the time to respond to each goal with specific details on how to meet those. The served us before we were customers. We were in desperate need of High-Resolution Logo's. Mentioning it to Cazbah, they were more than happy to assist us in an extremely quick time frame, at an unbelievable price. Lastly, they delivered on their promises. Its hard to say everything, but I am been impressed at every turn on the quality of service we have been provided. We look forward to our continued partnership and hope that you will too! We have been with Cazbah for over 7 years and they provide us the web based tools for our small business to compete and grow. With their guidance, and our drive to succeed, the relationship continues to get stronger as the years go on. I've not once questioned their professionalism and trust their wisdom from all of their experience. They provide the backbone for our web growth. I would recommend them to small businesses who are looking to get support moving to a more e-commerce company. We have been with Cazbah for 9 years and are quite pleased with their knowledge of the web & was does & does not work. Everyone on the Cazbah team is knowledgeable as well as approachable. We will probably staying with Cazbah for the next few years at least. As one of Cazbah's early e-commerce clients we have grown our on-line business and continue to benefit from the team's knowledge, expertise and specific recommendations for driving sales. One of the most beneficial points is their dedicated account manager structure so that at least one experienced professional learns the ins and outs of your business and your web site, features and SEO efforts which means a fast response time when things need to be addressed. Hosting / server reliability have improved over time to be extremely reliable and the rare glitch is quickly addressed and resolved. Chaz and his staff are GREAT. Been with this company for going on 10 years. Yes we have had a couple of bumps in the road. No issue though, you call the owner directly and its fixed just like that. They do what they say and then some. A great resource for myself and my company. We keep in constant communication, share ideas and create great results. Our family-owned-and-operated stores have been in business since 1945. Our evolution to include internet services began in 2004. We started working with Cazbah in 2009 and have remained a customer ever since. As in any long-term relationship, there have been a few bumps, but we are thrilled with the service we receive from Jeff and his team. Jeff acts proactively to ensure our site is safe, functional, and profitable and is always willing to respond to issues in a timely manner. I feel like we are a priority for him, even though I know he has many plates to spin! The 5-star rating is based on service, cost, and the return we see on this investment. Cazbah has become a key part of our Marketing Team. Their professionals are always on top of the ever changing requirements and methods needed to have an effective online presence. They constantly give us new ideas for our website and push us into other social media campaigns with positive results that are reflected in our sales. Cazbah has been doing and awesome job for us. Mike Ingersoll is great to work with and he knows his stuff and gets it done. Attentive, proactive and on point. when issues arise they are responsive and rectify them quickly. Lots of analytics, good customer service , solid marketing partner for multiple years. Working with Cazbah has given us the opportunity to improve our website and overall web presence. With a dedicated account manager, we get personalized insights and recommendations through every stage of the process. They have been a great resource for our marketing team, and provide support on a number of digital marketing initiatives. I would recommend Cazbah to anyone in need of improving their website and overall digital presence.